IFA 2014 is the European version of CES and IFA 2014 is the world’s leading trade show for consumer electronics and home appliances. IFA 2014 has became the best grounds for the launch of major consumer electronics, smartphones and smartwatches. Samsung apart from unveiling Note 4, Samsung has launched its first 3g Smartwatch “Gear S” in IFA 2014. 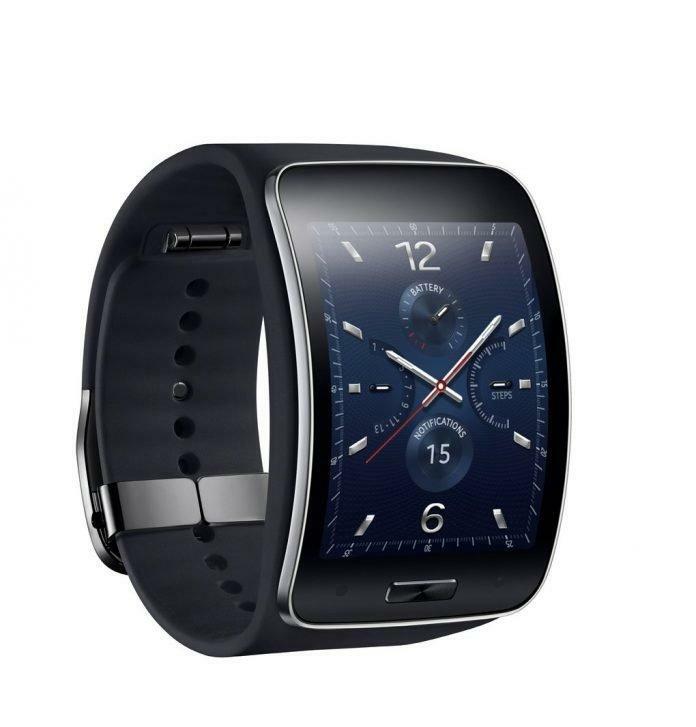 After the major leaks of Note 4 Specifications and Note 4 leaked images, finally Note 4 is released in IFA 2014 along with the release of Samsung “First 3G watch” Gear S.
Samsung’s First 3G watch “Gear S”, comes with curved display. This new smart wearable features a curved 2-inch Super AMOLED display and is similarly built around Samsung’s own software, this time in the form of Tizen. 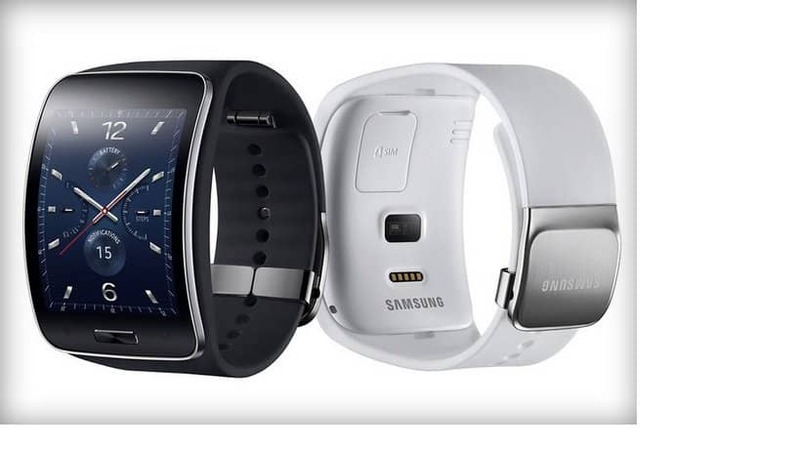 Aside from the larger screen, the Gear S differs from other smartwatches in its 3G connectivity which enables the Gear S to be synced with the smartphone even if the two devices loses the Bluetooth connection. Samsung’s own S Health app will come pre loaded on the Gear S along with Nike+ Running software, indicating it’s aiming to occupy a position somewhere between the fitness-oriented Fit and its more versatile Gear 2 and Android Wear offerings. Nokia’s Here maps will be used for pedestrian turn-by-turn navigation on the watch, marking another departure from the Google software stable. 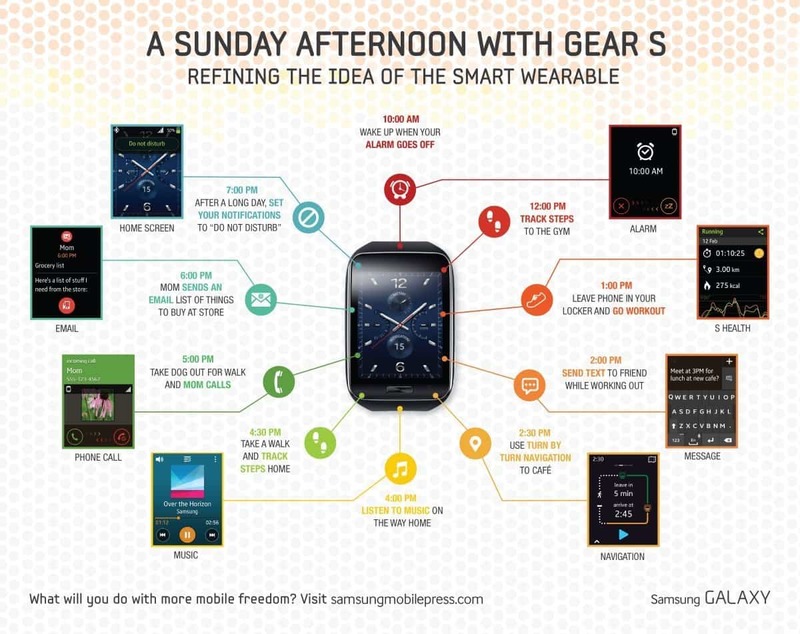 In terms of hardware, the Gear S has been IP67-certified for dust and water resistance, and includes Samsung’s usual panoply of sensors: there’s an accelerometer, barometer, gyroscope, compass, and monitors for heart rate, UV, and ambient light. When it comes to battery, Gear S is equipped with a small 300mAh battery and is promised to last for two days at a time. 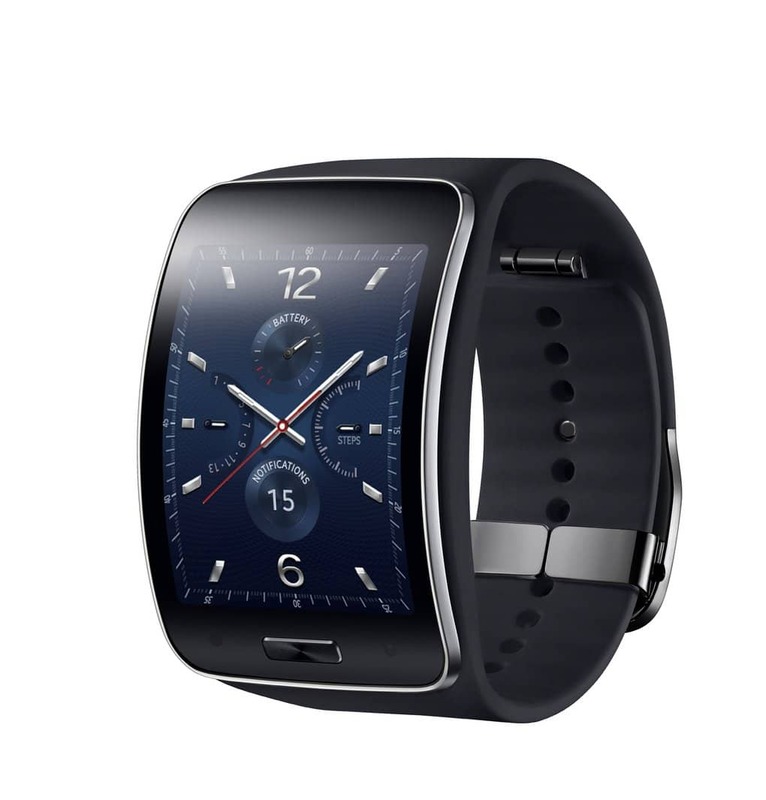 The Samsung Gear S will go on sale in October and eagerly waiting to have hands-on Gear S for a complete video review. Read more IFA events: Note 4 release, IFA events: Xperia Z3 and Z3 compact release.